Standard F.O. 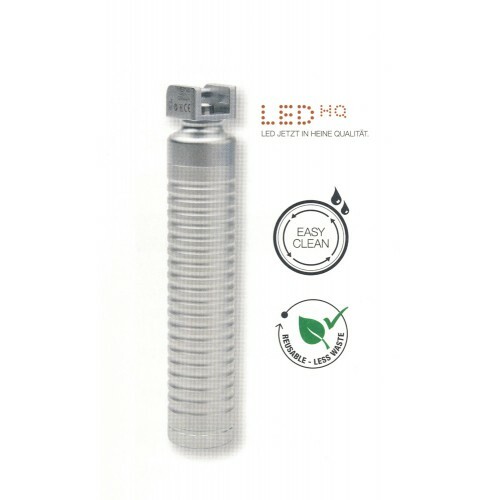 LED Handle, compl. LED in HQ: The new standard in LED illumination defining optimal light intensity, homogeneity and colour rendering for the most accurate visualisation. Red is red, blue is blue. Colour temperature: typically 5,200K. HEINE Standard F.O. 4 LED NT Laryngoscope Handles can be converted from battery to rechargeable handles by simply exchanging the bottom insert. HEINE® F.O. 4 NT Bottom insert for Standard F.O. Handles The Standard F.O. 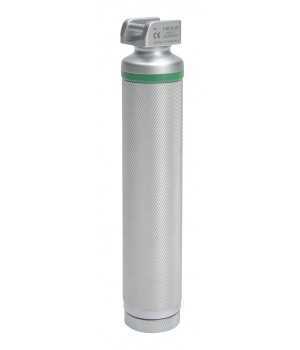 Laryngoscope Handle can be upgraded with the Standard F.O. 4 NT bottom insert. Charge Status Indicator in the bottom insert. The indicator shines organge to show a low battery level. Quick charge with the NT4 table charger. Typ. 13 hours operation time. Li-ion technology – no “memory effect”. Charge your handle how you like without worrying about the charge level or battery condition. To upgrade existing laryngoscope handles, please order the Standard F.O. 4 NT bottom insert together with the corresponding Li-ion rechargable battery. To charge the handles you also need the NT4 table charger.